The ESRB has rated Grand Theft Auto and Grand Theft Auto 2 for the PlayStation 3, Vita and PSP. As silly as it sounds, it can be easy to forget that Grand Theft Auto III wasn't the first in the series. Being the mass hit and revolutionary title it was, its reputation alone dwarfs the games that preceded it. It's a bit of a shame, because the original Grand Theft Auto and its sequel were both great and ambitious titles in their own right, establishing many of the tenets of the franchise that gamers now take for granted. 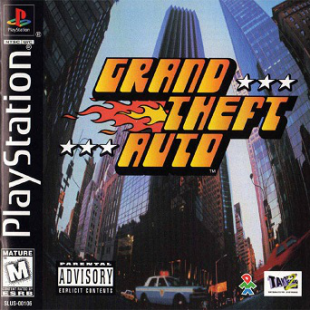 Grand Theft Auto 2 also took place in one of the franchise's more unique settings, eschewing a faux real world location for a pseudo-futuristic city controlled by evil corporations, rednecks, and gangs of escaped mental patients. Gamers interested in revisiting the GTA's of yesteryear, however, may find themselves with a fresh opportunity to do so. PlayStation Network versions of Grand Theft Auto and Grand Theft Auto 2 both recently received ratings in the ESRB's software listings.While its top-down perspective arguably makes it a more tame game than modern day GTA's, the ESRB gave Grand Theft Auto a Mature rating for its violence and strong language. GTA 2, comparatively, got off with a Teen rating. Though Sony has made no official announcements, it's likely the games are being readied for re-release as PlayStation Classics, which would make them playable on the PS3, PSP and Vita. Currently, both GTA 1 and 2 are available for free via RockStar's official website. Even so, there is an arguable case for investing in the PSN version when they come out. The PlayStation games were fairly well-regarded at the time of their original release, and while time has probably left them with a few rough edges, a Grand Theft Auto that you can play on your Vita is good any way you slice it. In the least, it can't be any worse than going back and playing Grand Theft Auto III. How we ever got used to that camera and targeting system boggles the mind.